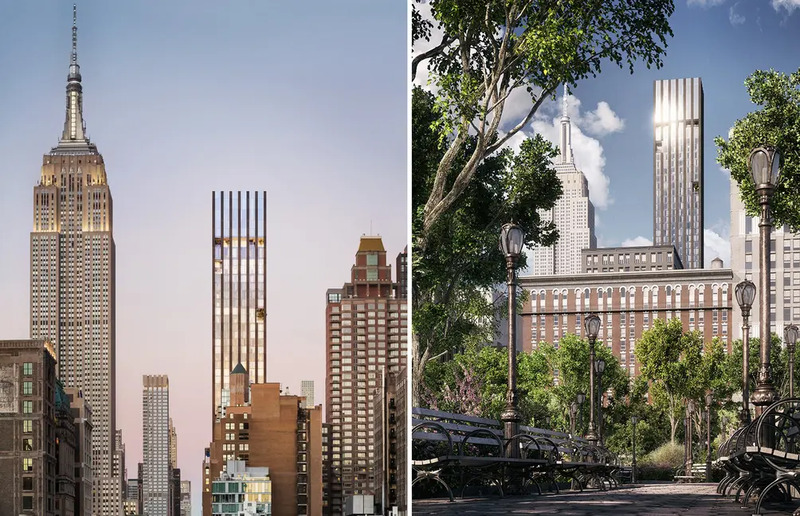 The Victor Group in partnership with Lendlease has debuted the sales website for 277 Fifth Avenue, the loftiest residential building on the world-famous thoroughfare come 2019. 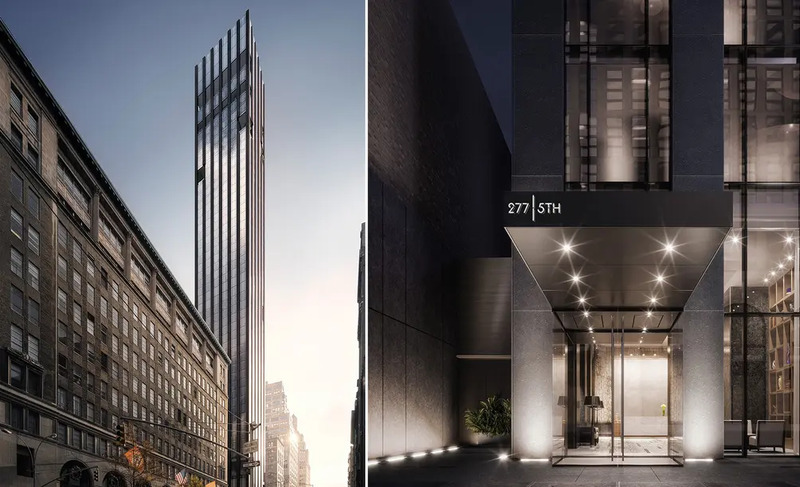 Earlier this month, we announced that the 55-floor skyscraper — ascending from the southeast corner of East 30th Street — is halfway up and beginning to receive its dapper stone and glass cladding. 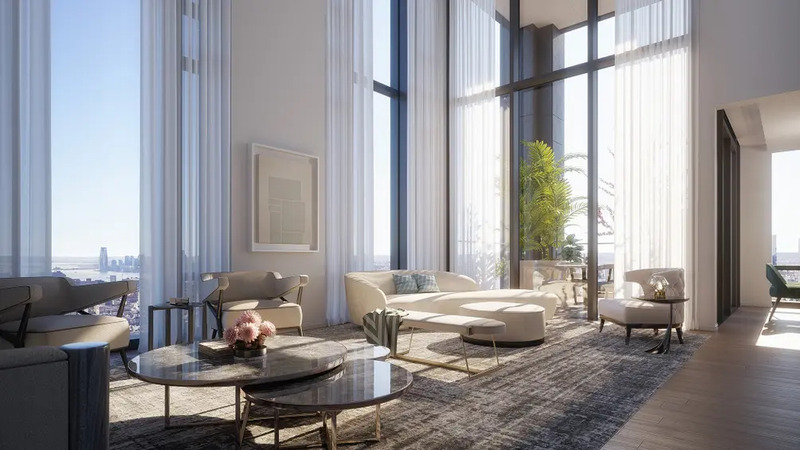 Now, to satiate our curiosity and prepare for its sales launch, the team has unloaded a crop of fresh renderings showing more of Rafael Viñoly’s “timeless” design and giving us first looks at the tranquil interiors honed by Jeffrey Beers International. Each of the 130 one-, two-, and three-bedroom residences is designed so that either the living rooms or master bedrooms enjoy corner exposures. 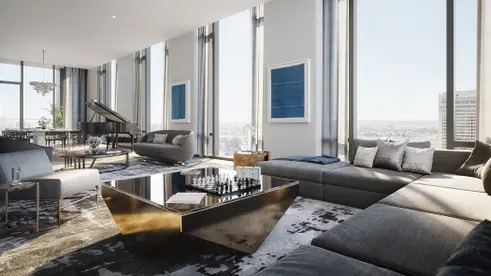 As such, there are no more than 4 homes per floor and residents will enjoy beautiful views that frame countless city icons such as the Flatiron Building, Madison Square Park, and the rivers. 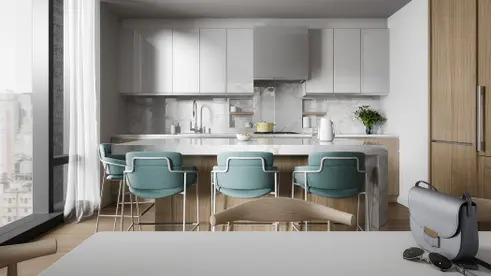 The loggias will serve as sheltered open-air living and entertainment spaces and are attached to “monumental” three-bedrooms that have double-height living and dining rooms. The building will be crowned by three penthouses with ceiling heights exceeding 13 feet. 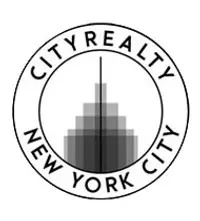 The long roster of amenities includes a fitness club with separate training/yoga studio, men’s and women’s spa with steam/sauna rooms, a double-height library, and entertaining suite with bar and kitchen and a communal terrace overlooking Fifth Avenue. Prices for the homes are expected to begin around $2 million and are promised to hit the market in the coming weeks. 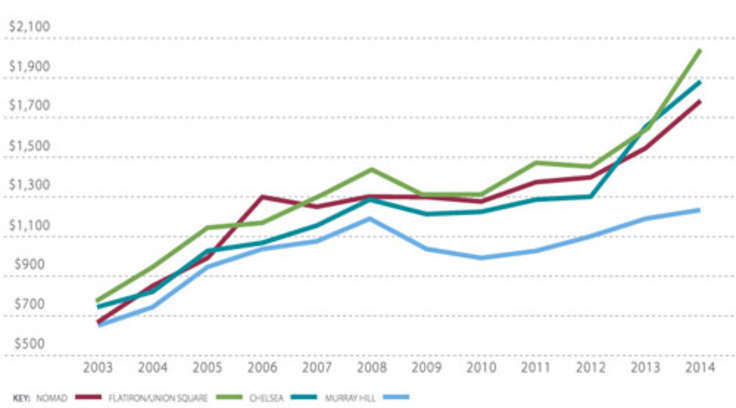 Victor Group was behind the nearby condo 241 Fifth where average closing prices stand north of $2,200 a foot.